Rouhani's Minister of ICT, Vaezi, declared to the Parliament, 18 days after Rouhani campaigned and won on boasts of Internet freedom, his government had blocked 7 million websites in their first term. Image from Tasnim with the intention to republish. In his successful bid for re-election, Iranian President Hassan Rouhani touted his efforts to protect access to social media platforms in Iran. Although major platforms including Facebook and Twitter remain blocked in Iran, Rouhani set a more moderate tone in regulation of newer social media platforms such as Instagram and Telegrag, in comparison to past leaders. But last week, just a few weeks after his victory, Rouhani's administration introduced new reforms that may further restrict Internet access. President Rouhani fires a shot: If not for this gov, internet would be so limited even my opponents couldn't have use it for campaigning. Rouhani: If it wasn't for the efforts of this government in this field there would be no social networks live right now, they would have sacrificed them by now. Current Vice President Eshaq Jahangiri, who ran for the majority of the election campaign as a “placeholder” and “running-mate-like” presidential candidate (it was suspected he would drop out and support Rouhani at the last minute, which he did), even went out of his way to defend the Rouhani government's commitments to a free Internet. It should be noted, that much of Jahangiri's base consisted of the nation's progressive reformists, often vocal about the values of a freedom of expression and access to information. 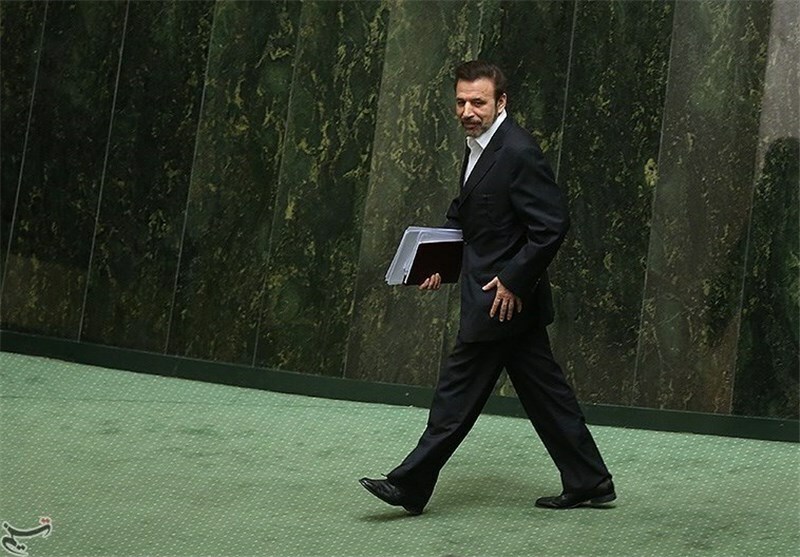 On 6 June, however, 18 days after Rouhani's re-election, Information Communication and Technology Minister Mahmoud Vaezi announced in a session of parliament that the Rouhani government had effectively improved methods to control the Internet and had shutdown a number of platforms. در ۴ سال گذشته تلاش شده به نوعی فرصت ها را افزایش و امنیت فضای مجازی را ارتقاء دهیم و تهدیدات را کاهش دهیم. He went on to describe how Iranian officials are working with the messaging app Telegram to create a safer space in the interest of curbing sexual abuse, child abuse, ‘violence’, ‘terrorism’ and ‘anti-religious content.’ It should be noted Telegram has previously denied cooperation with the Iranian government, except to block pornographic content deemed inappropriate on distributors such as Apple's App store. وزارت ارتباطات به جای مسدود کردن تلگرام به عنوان یک شبکه اجتماعی خارجی که باعث مهاجرت کاربران آن به شبکه اجتماعی دیگر می شود با مدیران آن تفاهم کرده که پنج مصداق مفاهیم جنسی، کودک آزاری، ترویج خشونت، تروریسم و محتوای ضد دین در این نرم‌افزار مسدود شود و تاکنون ۱۷۳ هزار از این مصادیق بسته شده است تا جایی که در ابتدای فعالیت تلگرام ۱۰ درصد مشکل در این زمینه وجود داشت که اکنون به دو درصد کاهش یافته است. The Minister did not explain why widespread censorship has continued in Iran, nor did he indicate which platforms are being targeted for what he described as “intelligent refinement”. The Minister has previously referred to a presumably similar process of “intelligent filtering,” which was only known to be deployed on Instagram. موضوعاتی که در سوال آقای حاجی در جلسه کمیسیون صنایع مطرح شد با آنچه که امروز ایشان عنوان می کنند متفاوت است. ایشان در کمیسیون درباره یک سایت سوال کرد و من پاسخ دادم اما اکنون مطالبی را در خصوص فضای مجازی ایران و جهان تحت عنوان یک مقاله مطرح کردند. من آمار کشورهای مختلف را قبول دارم اما در مورد ایران آمارها درست نبود. این آمار یا در وزارت ارتباطات و یا در وزارت اطلاعات است و در خیابان و روزنامه نیست. اینکه می‌گویید ۹۰ درصد استفاده مردم از اینترنت بین الملل است و یا اینکه ۶۰ درصد مراجعه مردم به سایت‌های جنسی است اصلا درست نیست؛ بنابراین نمایندگان و مردم توجه داشته باشند این آمارها درست نیست لذا آن را نقل قول نکنند. We also launched the project of intelligent refinement and have blocked about 400 million videos through this method. If previously there were 8% of websites that were problematic, we have now brought it down to 1.5%. Also, over the part three years, we have closed 7 million addresses that have been notified to us by the relevant authorities and blocked 121 relevant pieces of software as well as circumvention tools.